Left Foot Forward’s Alex Hern discusses legal aid minister Jonathan Djanogly’s conflict of interest with regards to the bill he is shepherding through parliament. 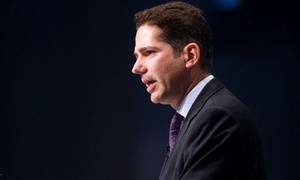 Justice minister Jonathan Djanogly today was held to task for his ongoing conflicts of interest with regards to the bill he is shepherding through parliament. In the transport committee hearing on the cost of motor insurance, Tom Harris pointed out that the phrasing of Djanogly’s opening statement, about “symptoms of a sick suing culture”, was almost identical to the that of a briefing by Admiral Group, an insurance company. It is also entirely incorrect, as Jonny Mulligan pointed out on these pages earlier today. Harris is right to be worried about Djanogly’s closeness to the insurance industry. The minister is a minority partner in The Djanogly Family LLP, a family firm that is involved in underwriting with Lloyd’s of London, that deals in accident, health and motor claims; in short, they are part of the insurance industry. In 2009, Djanogly was eligible to almost £97,000 from the profits of the partnership – more than his current ministerial salary of £89,000. This is the very same insurance industry which Djanogly is claiming to be an impartial adjudicator of when it comes to the legal aid, sentencing and punishment of offenders bill. It’s not just him, either. The register of members’ interests also records that his “brother-in-law Ben Silk owns Going Legal Ltd and Legal Link Ltd” – two firms which advertise accident compensation claims. The idea that a minister could receive more income from one private source than from their entire ministerial salary and not have a conflict of interest is, frankly laughable, but even discounting salary, Djanogly has further problems. As a member of the LLP, he has a legal duty to act at all times in “single-minded loyalty to his principal”; he “must act at all times in good faith and in what he believes to be the best interests of the LLP”. While he has this conflict of of interest, he is damned if he does and damned if he doesn’t: either he is breaking the law as a partner in the LLP, or he is breaking the ministerial code as the minister of justice. He apparently sees no problem in having a legal duty to a company in the very industry he is regulating. Perhaps as a result, his attempt to deal with this conflict has been underwhelming. Djanogly’s “alternative steps” have involved placing his holdings into a blind trust. This removes his ability to interfere in the operation of the LLP, but does nothing for the central conflict of interest – the majority of his income still comes from the very industry he is supposed to be regulating. Legal advice seen by Left Foot Forward is clear: Djanogly should have disposed of his holding as soon as the contents of the LASPO bill became clear to him. As it is, this is a bill drafted by an insurer in the interest of the insurers. It is too tainted by his association to be allowed to pass in its current form, and when this problem is combined with the issues highlighted on Left Foot Forward by Sound Off for Justice, it is clear that it must be drastically rewritten or scrapped altogether.